Now that this has become a weekly thing, I thought I would fake everyone out and post it a day late! ;) Just kidding, yesterday got a bit hectic at work and I ran out of time to post the full blog post, so here it is! As you may know, I partnered with Vici Collections for this post. While this post may be sponsored, please remember that any and all opinions are that of my own and that I will never tell you about a product/service that I myself do not believe in or absolutely love. Now that we have that out of the way, let's get on with the post! Blazers are so in this season and they seem to be popping up in every clothing store I go into. Now, keep in mind, I'm not talking about your average navy suit blazer, I'm talking about a fashion-forward blazer that you can wear to work, but it's also stylish enough to wear with a pair of jeans and jeans or boots! This blazer from Vici Collections is probably one of my all time favorites. I know that I say that a lot, but it's the best way I can describe something because the only stuff I am going to show you are things that I truly love! The blazer is so chic and on-trend with the fashion-forward "working-girl" that I wish they made it in more colors! I love that it is light weight enough for those warmer days, but is also perfect to wear under a big coat during winter. This skirt. You guys. THIS skirt is one that I now have in 3 colors and want to get in the other 4. I am wearing a size 2 and can't say enough good things about it! I love the stretchy waist so that if you are in-between sizes, like I seem to always be, it will fit just about anyone! I also have this skirt in camel, plaid and green! 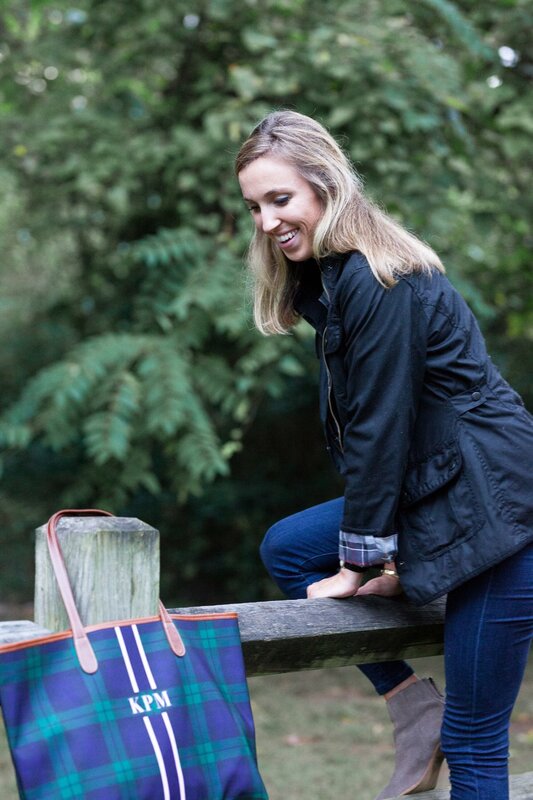 The handbag I have is an unbelievable Chloe dupe and cost less than $35! (Keep in mind, the Chloe costs around $2000). It spacious enough for your wallet, sunglasses, lipgloss and any other essentials you need through out the day! Oh, and best part? 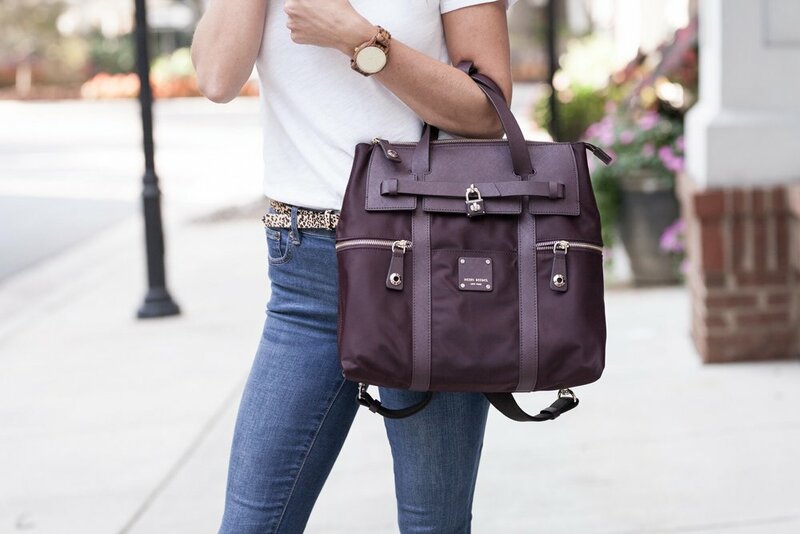 It comes in a camel color for fall! If you have any questions about sizing or how else to style these, please comment below and I will respond as quickly as I can! It's time for the Monthly Edit! This month, as temperatures start to drop and you need a lighter jacket for chilly mornings and warmer afternoons, a vest is the perfect addition to any outfit. With the different patterns, styles, and companies that are making vests these days, you can never have enough. My collection of vests has grown to 9. Yes, I said 9. I know what you're thinking, how could you possibly need that many, but they are all so different that I can wear them with different outfits! Whether you pair the vest with a dress, skirt, or jeans and boots, you can't go wrong. 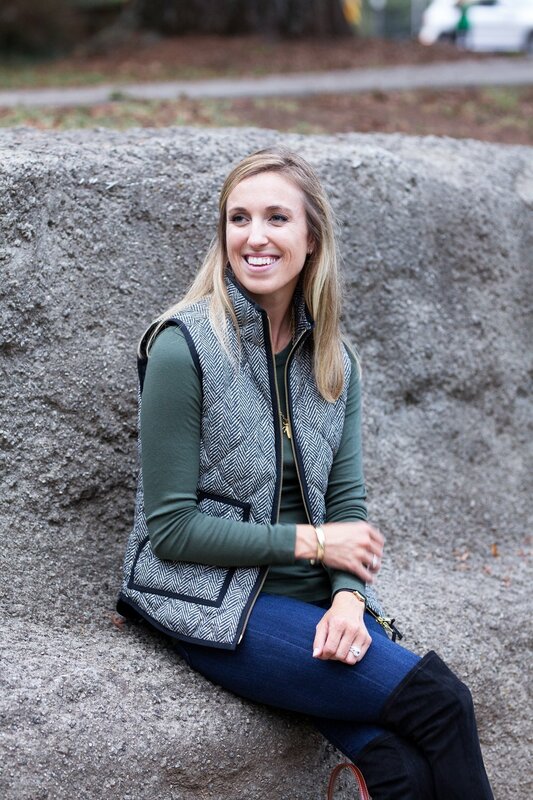 For today's post, I put together my go-to fall outfit and near the bottom I rounded up my favorite vests from different companies so that you can shop a variety of styles & colors! This herringbone vest is one that I have had for about 3 years now and lucky for us, the company keeps rolling it back out every year! Every time I wear it I have people stop me and ask where they can get it from. I love the classic look and that it can be worn with jeans or a dress! I sized down to an x-small in this because I like my vests to lay a little bit "open". However, overall I would say it runs true to size! Below are my picks for this MONTHLY EDIT, showing you different patterns and styles. All you have to do is click on the picture and it will take you directly to the site where you can buy the vest! I'm sure some of you haven noticed recently that some of my posts have been about a company called VICI Collections. 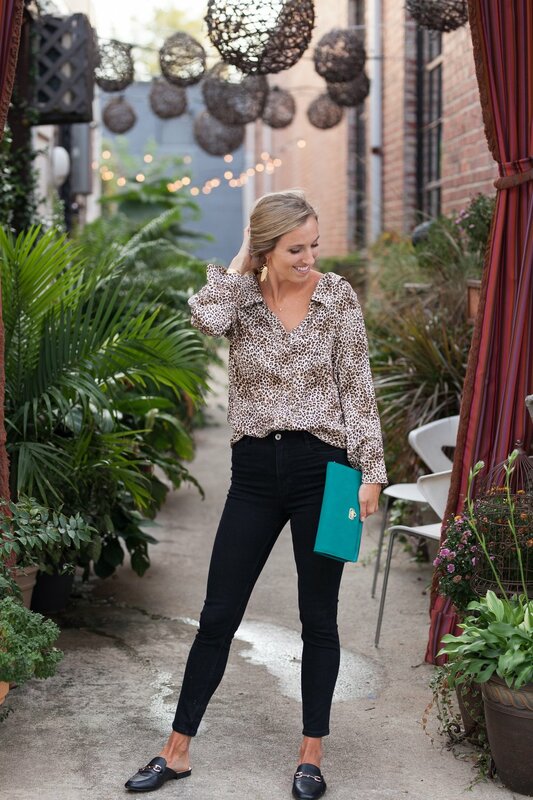 Until a few weeks ago, I hadn't heard of the company before, but they reached out to me about partnering with them and I have completely fallen in love with their clothes. What is so great about this company is that their items sell out SO quickly and they only restock a few items, so it's nice that you know the whole world doesn't have the exact same thing as you. After receiving my first package from them, I can't stop looking at the website every single day and ordering new things. I have ordered over 10 items, however, I wanted to share my top 5 with you! This sweater is one of the most comfortable cowl neck sweaters I have ever had. I love the light color of it because it looks great with dark jeans or light and that it is not itchy! One of the worst things is when you buy a sweater and it turns out to be so itchy from the material that you never wear it! This one is so soft, I just can't stop wearing it! I've also paired it with a skirt for work and it is SO cute!! 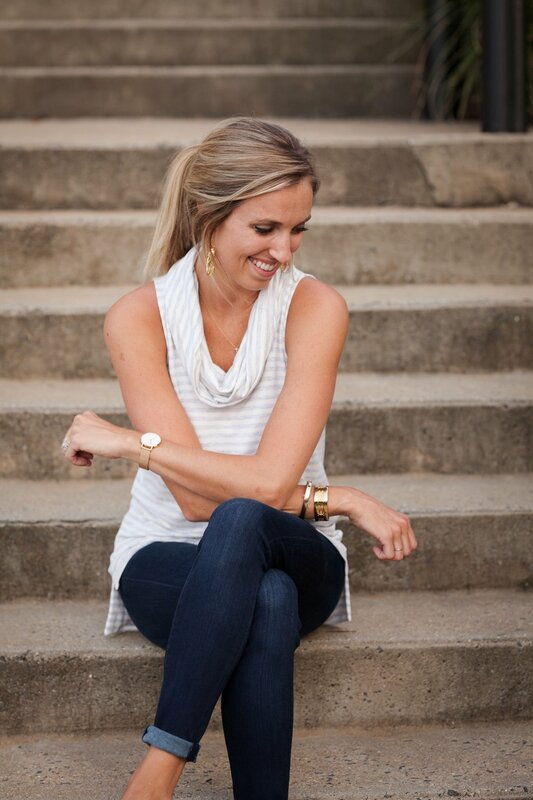 This cold shoulder tie sweater is giving me all the heart eyes! At first, I was never really into the cold shoulder look, and to be quite honest I still am not, however, this top completely changed my mind. It is a mix between a deep red and a plum color, so it's perfect for football games (Go Gamecocks) but is great for hanging out at a brewery on a Saturday or going out to dinner with friends at night. My favorite part? The ties are thick enough to cover your bra straps, so you don't have to wear a strapless one! I don't know about you, but I am also on the hunt for a great athleisure top. That term is one that has come about in the last few years and I LOVE it. This term now makes me feel like I can look cute in workout clothes and wear them not only when going to the gym, but also running around doing errands. This is one of my favorite athleisure tops. With the slits up the sides and my high waisted leggings, it gives that extra stretch and flow that we love! The hoodie makes for the perfect fall feel and if it's raining, just pull up to keep you from getting soaked! If you have been following my instagram, many of you have seen me post about this top a few times now so you know that I LOVE this top. I have mentioned it before, but because of the wide neckline, the top does fall off your shoulders some, so I just use some fashion tape and it works like a charm :) This top is so cute with black jeans during fall/winter or with a skirt for work! The diversity of this makes it well worth the purchase! The handbag I am styling with this is still not online, however I continue to check everyday and will let you know as soon as it appears! Say "Hello" to your new favorite fall jacket! This faux suede jacket is undeniably my favorite piece from Vici Collection! I love the stretch of the jacket, it slides right over my sweaters for those extra chilly days, but also looks great with a just a tank for going out! 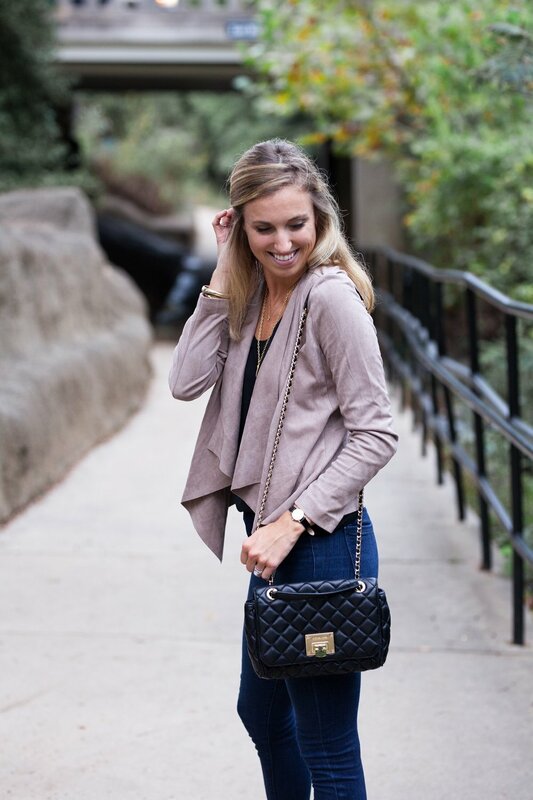 The quilted bag and matching suede booties top off the outfit for my favorite fall outfit! If you have any questions about sizing, etc. please comment below and I will get back with you as quickly as I can! Stripes For Fall & Winter! 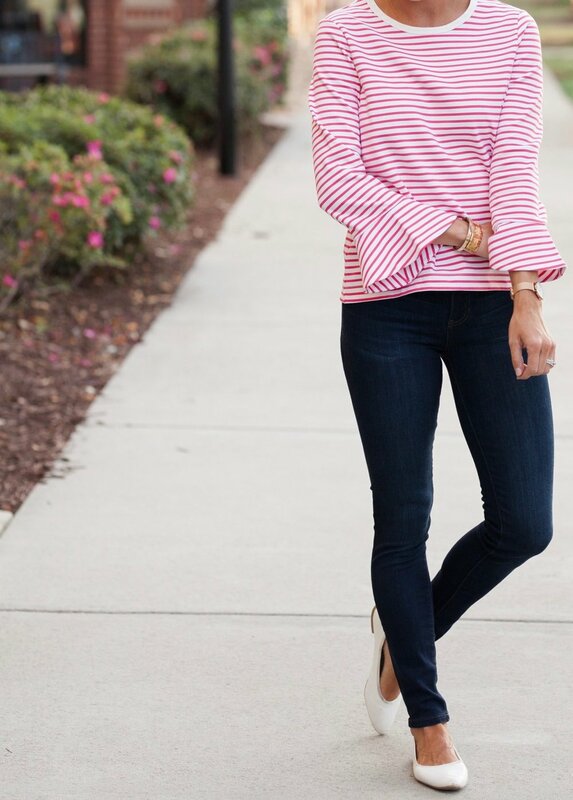 Favorite striped tops for fall & winter!